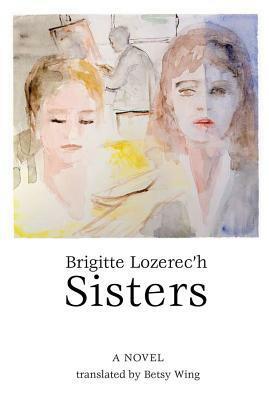 Brigitte Lozerec'h, Sisters, Trans. by Betsy Wing, Dalkey Archive Press; Reprint, 2013. Mathilde Lewly--a female painter at the dawn of the twentieth century--has achieved notoriety among the Parisian avant-garde. She and her husband, also a talented young artist, pursue their separate visions side by side in a Clichy atelier, galvanized by the artistic ferment that surrounds them. But the couple are threatened by the shadow of Mathilde's little sister, Eugenie: since the two girls' sudden departure from their native England, Eugenie has been determined to vault the eight years separating her from Mathilde. Now, devoured by envy and haunted by a past she never actually experienced, the "little one" hurls herself into the artistic and personal life of her elder sister. It is the birth of a fierce rivalry, an emotional tug-of-war, played out against the bohemian riot of the last century's wildest years. But will the First World War's sudden and brutal eruption allow Mathilde to escape this intimate conflict and achieve her destiny?